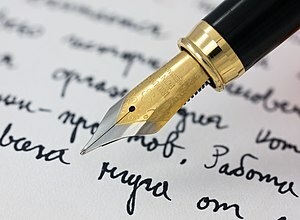 Writing is one of the most important things histories and the future looks at—scientists love to argue otherwise but the real truth is that the world rotates a lot around stories—stories shape the narrative of what is and what will be, erasing this truth is erasing the truth about humanity. More often than not, many of my readers ask where I get the courage to write what I write and I honestly tell them, “the truth is a balance of the past and present, if you keep a keen eye on the realities; even the unnerving stories become ‘easy’ to tell”. Writing is a process, often times comes with procrastination for many (at times ) but there is no in-between, you either start on the project or let your gift to the world dwindle away; the bad news is you could be sleeping on what the world needs to be a better place. I read somewhere: "sometimes the words will flow freely, fingers nimble across the keyboard, the hours dissolving into one another as the daylight sleeps away….[….. ]….there are lots of practical things that a writer can employ to help themselves out of a writing slump, the most obvious and perhaps most helpful suggestion, although it may feel counter-intuitive, is to take a break. It is all well and good to have a strong work ethic, maybe a target word count each day, or an expectation of how much time you should be in touch with your work-in-progress, but efficient working is more about words produced or the number of hours spent welded to your desk chair". As I wrote earlier, my mentor C. JoyBell .C, can best tell how and why my audacity of hope is always shinning anew every day of my life: “I have come to accept the feelings of not knowing where I am going. And I have trained myself to love it.Because it is only when we are suspended in mid-air with no landing in sight, that we force our wings to unravel and alas begin our flight. And as we fly, we still may not know where we are going to. But the miracle is in the unfolding of the wings. You may not know where you are going, but know that so long as you spread your wings, the winds will carry you”. I often look back at all the bickering and yammering I have been through: the background noise from people who think and thought I am just a ‘little man’ grasping at straws, I sit back and take a good laugh and cry to God to make a way for me. It’s been tough but I have never for once considered giving in to people’s whims—that’s not who I am, especially when I know I am doing right; looking for people’s approval would be the last thing I need. In life, you have to come to terms with the world and accept the world is full of mean-spirited people: that may never applaud your hard work no matter how hard you try, the best thing to do therefore, just do your thing—your life is yours alone to shape, throwing it in someone else’s hands is the last thing anyone should do, my report card from the university of life has taught me that already. Go out there and be the change you want to see in the world.